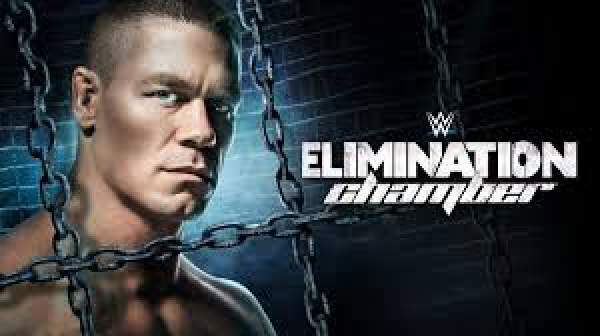 WWE Elimination Chamber 2017 Results, Watch Online Live Streaming, Winners, Matches, Highlights: John Cena will land in the ring to defend the WWE Championship against five other stars in the EC tonight. He will fight AJ Styles, Dean Ambrose, Bray Wyatt, The Miz, and Baron Corbin inside the steel to defend his title. This match’s winner will bag the top title of WWE SmackDown. Also, he will get an opportunity to face Randy Orton in the Wrestlemania 2017 main event. The Royal Rumble 2016 winner, The Viper, will have a faceoff against Luke Harper, a former Wyatt Family ally. Moreover, American Alpha will defend the SD LIVE tag title while Naomi has a match against Alexa Bliss for the women’s title. If you want to get the Elimination Chamber results, photos, and video highlights, then stay tuned to us as the SmackDown LIVE PPV event goes Live! The 2017 Elimination Chamber live streaming starts at 7 pm ET. It will air on WWE Network, Sky Sports Box Office and free live streams on WWE.com, the WWE App, YouTube, Twitter, Facebook, Google+, and Pinterest. This time John Cena will defend his 16th World Championship inside the steel structure at Talking Stick Resort Arena in Phoenix, Arizona. Below is the full match card for the tonight’s WWE SD LIVE event. The results of the Elimination Chamber will be updated as the matches lead to their finish points. Stay tuned to The Reporter Times for latest WWE news and sports updates.